On May 19, 2011, LinkedIn became the first US Social Media Network to go public and now claims over 200,000,000 current members with 50 million US users log into LinkedIn each month. LinkedIn is the world's largest professional network, connecting you to trusted contacts which help you exchange knowledge, ideas, and opportunities with a broader network of professionals. Google crawls LinkedIn and a correctly optimizied LinkedIn account is an important factor in overall Search Engine Ranking. LinkedIn gives you the keys to controlling your online identity. Have you Googled yourself lately? You never know what may come up. LinkedIn profiles rise to the top of search results, letting you control the first impression people get when searching for you online. 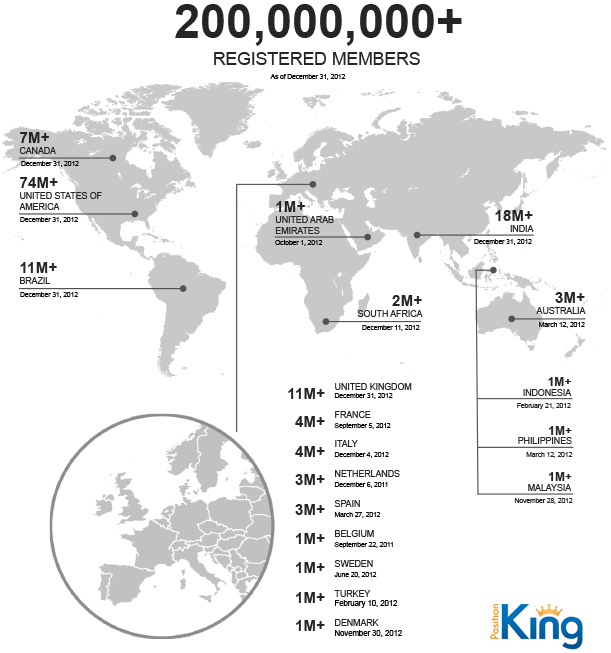 As of December 31, 2012, LinkedIn has 3,458 full-time employees located around the world. LinkedIn started off 2012 with about 2,100 full-time employees worldwide, up from around 1,000 at the beginning of 2011 and about 500 at the beginning of 2010. As of December 31, 2012, LinkedIn operates the world's largest professional network on the Internet with more than 200 million members in over 200 countries and territories. As of December 31, 2012 (the end of the fourth quarter), professionals are signing up to join LinkedIn at a rate of approximately two new members per second. Sixty-four percent of LinkedIn members are located outside of the United States, as of December 31, 2012. As of the school year ending May 2012, there are over 20 million students and recent college graduates on LinkedIn. They are LinkedIn's fastest-growing demographic. As of December 31, 2012, LinkedIn counts executives from all 2012 Fortune 500 companies as members; its corporate talent solutions are used by 86 of the Fortune 100 companies. More than 2.7 million companies have LinkedIn Company Pages. There are more than 1.3 million unique publishers actively using the LinkedIn Share button on their sites to send content into the LinkedIn platform. LinkedIn members are sharing insights and knowledge in more than 1.5 million LinkedIn Groups. In the fourth quarter of 2012, an average of 27 percent of unique visiting members came through mobile apps, versus just 15 percent a year ago. 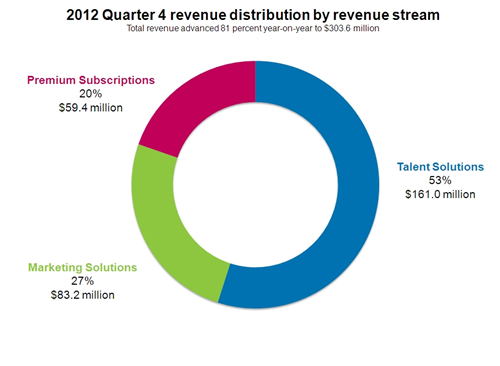 According to comScore, unique visitors (including members and non-members) increased 26 percent year over year to average 116 million in the fourth quarter of 2012. Page views (excluding mobile) increased 28 percent to 9.8 billion. When including SlideShare, which LinkedIn acquired in May 2012, LinkedIn averaged 155 million unique visitors in the fourth quarter. LinkedIn was the 25th most visited website in the world in December 2012. PositionKing observes search engine friendly practices suggested by each major search engine including Google, Bing, and Yahoo and accepted search engine optimization industry standards. We are proud of our commitment to provide quality services.